Keep waste hidden from view at all times with our Gompels Enclosed Sack Holder. 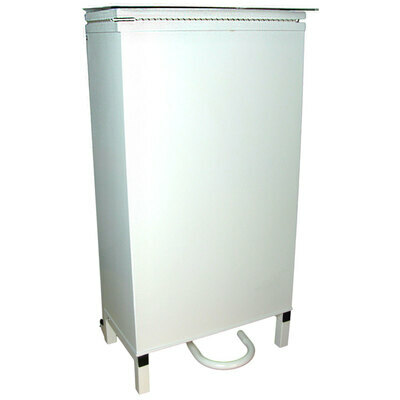 It has a strong and durable stainless steel construction which bodes well with high traffic environments. Think care homes, schools and even kitchens - it has an entirely smooth surface for quick antibacterial cleansing. The entire sack holder is operated through a hands-free pedal to allow for hands-free, hygienic disposal of waste and to improve infection control. The bin itself has a large capacity able to deal with large quantities with a solid frame to disguise it from sight. Don't forget to stock up on your Pedal Bin Liners 1000 or Heavy Duty Pedal Bin Liners to ensure you get the most out of your bin right away.